Rajan Anandan, one of the top technology leaders and visionaries in India, moved from Microsoft India's sales, marketing and services business to lead Google India as its managing director in February this year. With two decades of experience across high technology and management consulting domains, and serving in leadership roles at Dell and McKinsey & Co, Anandan has had a ringside view of the evolution of India's digital and mobile market. 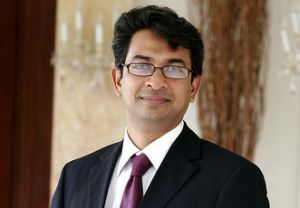 Techcircle.in interviews Rajan Anandan, MD, Google India, on the key trends ruling the Indian Internet arena, the company's social networking project Google+, the future of Orkut, the e-commerce bubble, Cloud computing, Google Apps and more. Can you share some of the key trends which will influence the Indian Internet market this year? Trends are multi-year phenomena. First of all, more and more Indians are spending more time online, which is not a trend but a macro factor. As we have said before, India has crossed the mark of 100 million online users, who are accessing the Internet from desktops and notebooks. They are spending an average of 16 hours a week online and this is far more than the TV users. People are mostly using the Net for communication and research. And the first big trend is that a significant number of people are accessing the Internet from mobile devices, which is around 40 million. Consumer usage of online services will go hand in hand with mobile usage. Therefore, it is now critical to have a mobile-configured website, a WAP site for feature phones and smartphones. So mobile is one big trend and the second is video â€“ because video is also huge. YouTube has a significant share of users from India â€“ 23 million, to be precise. And a typical user spends 15 minutes of viewing. We think that video is going to be a massive killer app because video can scale. If you go back to the beginning of 2010 and look at the numbers now, you will find that the usage has doubled. You can do all kinds of things now â€“ be it education or entertainment. Plus, a lot of companies use video to create all kinds of Web properties and the opportunities are massive. We are also witnessing acceleration in online advertising. Last year, this industry was around $200 million. But we believe that it will be worth $1 billion within four years. Is India the second largest nation on Google+? Yes, that is as per comScore. But it's still in a private beta and it's still very early for Google+. It's been very successful so far and we haven't even started yet. In fact, social media in India is just getting started. What's the future of Orkut after Google+? Orkut has eight million users in India and it is very popular with certain demographics "the tier II and tier III cities. At Google, we launch products which have a lifecycle of 20 years and we are just 11 years old. Of course, users will migrate to the next big product. We want to make all our products social, including the Web. And users must have a choice. They may like the idea of Hangouts or may move to Facebook. With Google+, we want to make the Web more social, like we live offline. You don't mix friends, family and acquaintances in real life and you do not live with 800 people every single minute! So, we intend to make social graphs on the Web. We believe that the power of the Internet should enable users to have choices, and help them to be open and free. Google has also taken a stand on the changes being made to the Internet law in India. Can you elaborate? We have already stated our position and made it quite clear; there's nothing more to add. Can you share your big picture view of e-commerce action in India? How do you stand to benefit from your Web presence? Our last record showed that the e-commerce market was at $5 billion and 80 per cent of it came from travel. Now, industry sources say that the number will grow to $40 billion by 2015, but we think it will happen long before that. Travel will continue to grow at 60-70 per cent, but the non-travel segment is more than doubling in India. So, e-commerce is a massive trend right now, but on a scale of beginning to end, it's still in its early days. Amazon went public in May, 1997, and there were only 50 million Internet users at that time. But we already have 100 million Internet users in India! That should tell people where we stand right now. What do you think of the e-commerce bubble? Do you think that there is too much of capital backing and only a few good business plans while there are far too many mediocre initiatives? E-commerce is like Test matches. This is just the first ball of the first over in a five-day Test. It's still so early! All you have to do is to look at the Amazon storyâ€¦ There is so much opportunity, and people will keep building and investing. India is right now where the USA was in 1997. How will you capitalise on your Web presence, with the e-commerce story being played out? We are focused on helping others capitalise on the Web. And we want e-commerce to be very successful. When is Google Checkout launching in India? What are your expectations from it and how will it affect the existing e-commerce market? We cannot comment on it. You will get to know when it arrives. What's the opportunity in Cloud computing in India? Can you share any adoption trends and which sectors are lagging behind? India will be a Cloud-first market. And Indian IT will be transformed from a legacy IT infrastructure to Cloud because legacy does not exist now. Google has 200,000 businesses in India on Google applications. There are around eight million SMBs in India and of these, 1.7 million have PCs, but many of them do not use enterprise productivity software. Larger companies have assets on the ground and migration is proceeding slowly. But Google is focused on SMBs because we are all about disruption and disruption always starts with SMBs. What are Google India engineers working on this year? Please share with our readers some of the recent innovations at Google India? Our engineers in Hyderabad are currently focusing on the enterprises business and cloud services "the Google Apps. Finally, tell us about your experience so far at Google India, as compared to the Microsoft culture? Both are great companies; the culture is different at some point and similar in other respects. But you need to work for both to know it.